Deals in liquid flavors, perfumery compounds etc. Our company, Asian Flavors & Fragrances, has been pleasuring your taste buds, since last 25 years with various Liquid Liquid Flavours. We prepare Liquid Flavours from aromatic chemical and essential oils. These liquid flavors are widely used in pharmecuticals formulation, cream biscuits, hard boiled candy, chocolates and tables etc. Our entire range is available in various fruit flavours, dry fruit flavours, etc. as per the choice of consumer. Today, we stand among the key liquid Flavours Manufacturers and Exporters from India. We feel pleasure to introduce ourselves as one the pre-eminent Dried Powder Flavours Manufacturers and Exporters in global market. 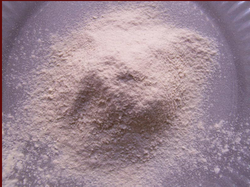 We offer an entire gamut of Dry Powder Flavors that are commonly used in various applications. Our Dry Mix Powder Flavours have become necessary ingredients of your favorite Rasna, Tang and various other Soft drinks. They are available in various flavors that too at very nominal price. We have been adding taste to your favorite beverages, since our inception. Come and be a part of our aromatic world, where we offer an exotic range of Perfumery Compounds. We manufacture Aromatics Perfumery Compounds that are extensively used in cosmetics, perfumes, creams, lotions, shampoos, etc. These compounds add refreshing fragrance to various products. 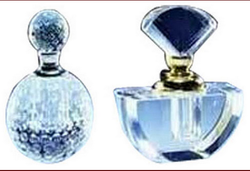 These perfumery compounds are available in varied range of fragrance as per your choice. We have been exporting perfumery compounds in international market for a long time and now we are renowned as one of the most proficient perfumery compounds Manufacturers.